I'm having a little run of projects which use the soon to retire 2016-18 In-Colours from Stampin' Up! This one uses all of them! I love this cute little project which can hold a photo and allows you to flip over quotes to switch them up for inspiration. I have made a tutorial on my You Tube channel with all of the details. I use several stamp sets and all 5 colours of cardstock and ink with some tone on tone stamping. The little rings are perfect for this project just be careful not to buy the wrong ones if you're making this, these hinge open, don't mistake them for the keyring type ones which won't be suitable. 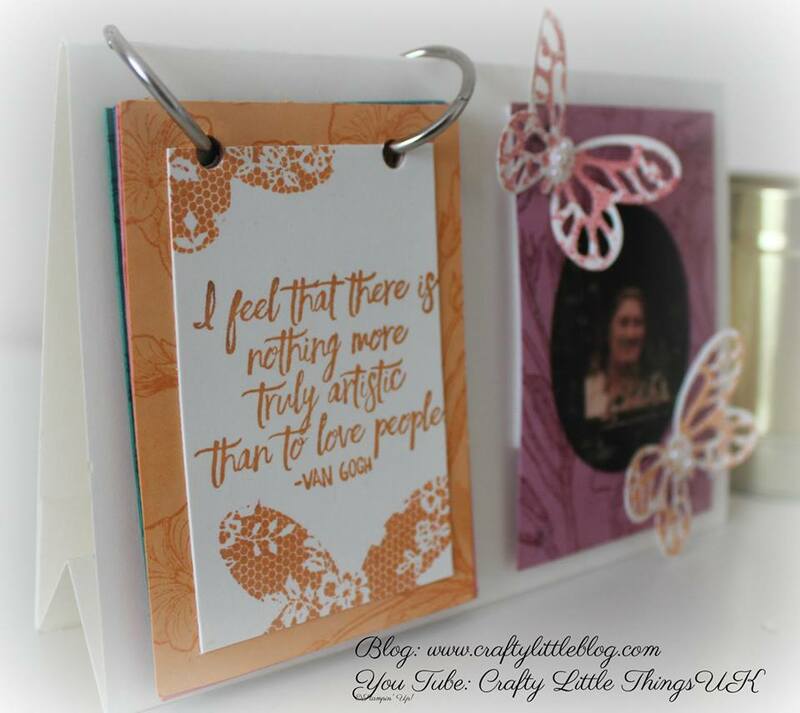 I'd love to see what alternatives people come up with so do share on Instagram with a #craftylittlethingsuk so I can see them.